My toddler is at the stage where she loves asking and answering questions. It’s one of her favorite pastimes, and it’s a great learning tool. 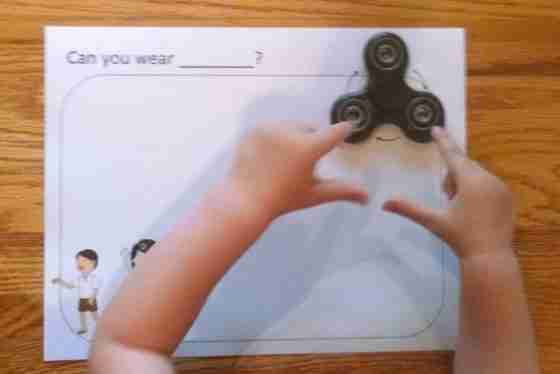 She also has been trying to play her older brother’s Fidget Spinner State Game, so I decided to created a fun, free toddler sorting activity for her that would use a fidget spinner as a timer. This matching activity is a great way to spend time with your child and will also encourage speech and language development at the same time. The game includes four activity boards that ask the following questions. Does a _______ drive on the road? It also includes two sheets of colorful flashcards with familiar objects. If you don’t have a fidget spinner, or prefer not to use one, all games include non-spinner versions. I hope you try the game out. Let me know how it goes if you do!